An advanced professional standard definition and high definition decoder with multi-format decoding capability and is the perfect solution for those looking to handle content that spans multiple screens (mezzanine to mobile and everything in between) with support for HEVC, MPEG-2, MXF, H.264, Apple® ProRes, VC1, MP4, Quicktime, and many others. The ability to support the gamut of formats used today in the creation and distribution of content means the ArgoNavis is ideally suited for applications such as Quality Assurance and Content Distribuion. Whether for QC at the output of the editor, or at the mezzanine level, or after transcoding into Broadcast, Cable, Web, and Mobile formats, the ArgoNavis provides the tools and analysis necessary to ensure your content meets the exacting specifications you set. Are you interested in a quote for our Argonavis QA/QC System? Compatible to playback media in many industry standard formats. Support for the formats most widely used in the industry today with the power and flexibility to add new codecs in the future. Current formats include HEVC, MPEG2, H.264, Apple® ProRes, QuickTime, DV, DNxHD MXF, OP1a, AS02, MP4, MOV, WMF, VC1, and many others. View Video, Closed Caption, Audio and LKFS Levels for quality assurance. Detect, decode, and display 608 and 708 Closed Captioning, Audio and LKFS during file play back in real time. Support includes HEVC, MPEG2, H.264, Apple® ProRes, QuickTime, DV, DNxHD MXF, OP1a, AS02, MP4, MOV, WMF, VC1, and many others. Outputs include SD/HD/2K/4K SDI, HDMI, Component, Composite, S-Video, AES Audio, Analog Audio, and SD/HD/2K/4K SDI Input for monitoring SDI signals. Detect, decode, and display 608 and 708 Closed Captioning during file play back in real time or detect, extract, decode, and log Closed Captioning faster than real time using the CC Viewer, one of our File Based Workflow applications. Measure LKFS, Set user definable LKFS thresholds, and Alarm when thresholds are exceeded. Use the File Based LKFS Analysis tool to perform faster than real time analysis and correction of non conforming files. Use Vela’s File Based QC Toolkit to verify critical MPEG parameters; Detect, extract, decode, and log 608 and 708 Closed Captioning; Analyze LKFS measurements for CALM Act Compliance and correct non conforming files; Detect black and static images for quality control or for Digital Program Insertion. 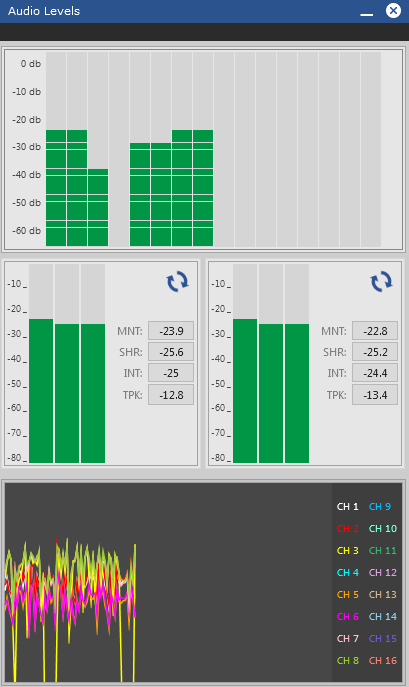 Utilize the Decision Making and Alarming features of the solution by setting upper and lower thresholds for audio amplitudes, LKFS, Closed Captioning detection and decoding, and black and static image detection. Create an audit trail for your QC process by utilizing the reporting features of the ArgoNavis. 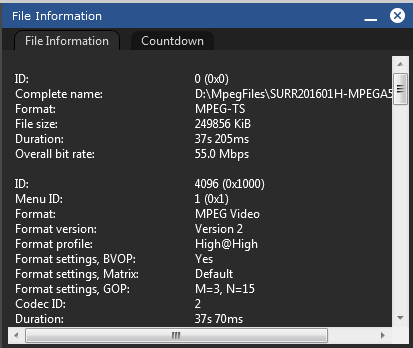 Log key parameters during file play back including MPEG parameters, Closed Captioning, violations of thresholds and setpoints and Pass/Fail criteria. Monitor your baseband HD/SD SDI signals, render video and audio, extract and decode 608, 708, and Line21 Closed Captioning, monitor VANC data such as Broadcast Flag, Active Format Descriptor (AFD), and Audio Metadata, set alarm thresholds for monitored data. Tie all of the Vela File Based Workflow Tools together and automate those processes using a Watch Folder. Segregate and quarantine non conforming assets and maintain an audit trail with logging and reporting features. We are waiting to offer you your next Vela system at better prices than the rest.